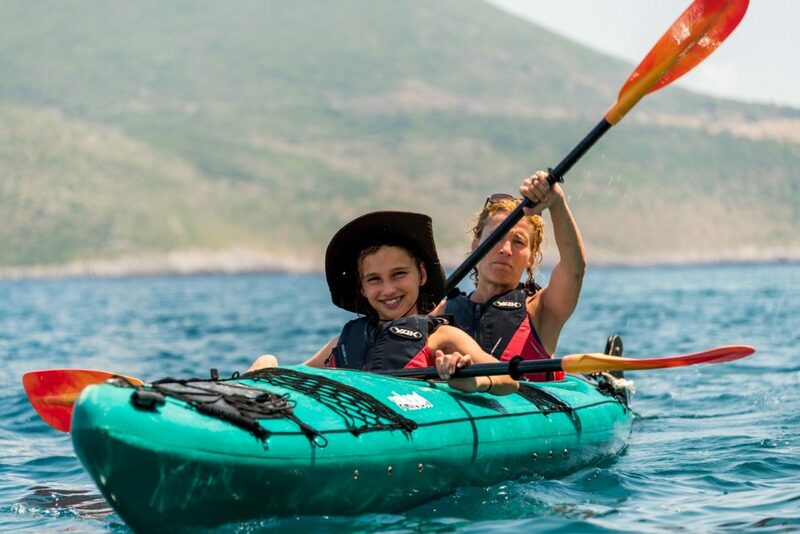 Sea kayaking in the coast of Kardamili and Stoupa is indicative of the rich scenery of Mani. 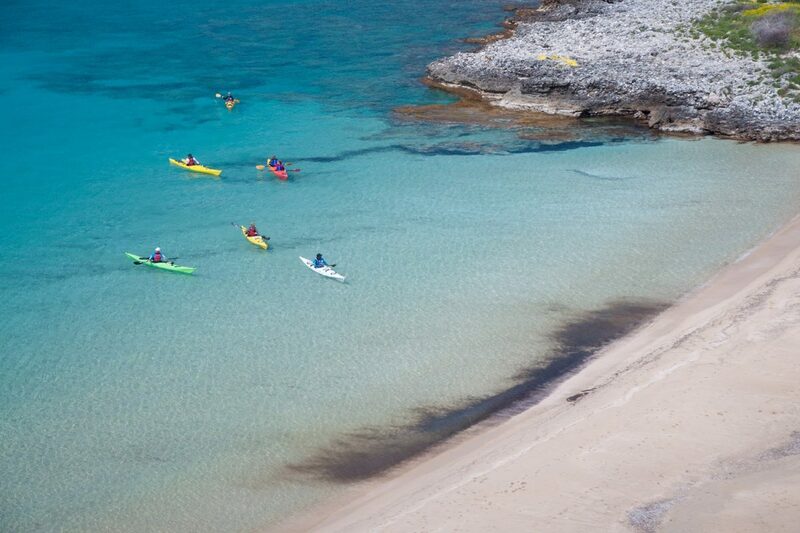 You will paddle in warm crystal-clear waters, exploring hidden coves and impressive rock formations. You will visit sea caves and discover idyllic beaches sprouted between the fishing villages of the region. Starting from the Kardamili old harbor and after being trained on kayak paddling techniques and safety measures, you will get into our kayaks and begin a coastal exploration at a relaxed paddling pace. Each little cove hides a special surprise such as hidden sea caves, rock gardens, cliffs with spectacular formation, hidden sandy and pebble beaches. One of the top attractions of this trip is a visit to the Blue Cave. A spectacular natural phenomenon where sunlight passing through a crack in the cave reflects on the sea floor and bathes the entire cave in aquamarine light. Weather and time permitting you may head to Stoupa for a stop at the beach of Kalogria with its fine golden sand and turquoise waters. 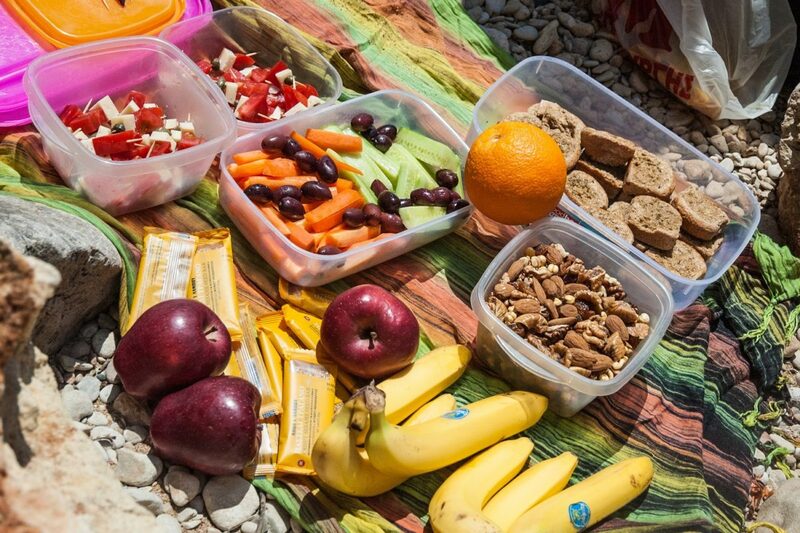 Halfway you will make a relaxing stop for swimming, snorkeling and a picnic with freshly baked bread organic, garden-grown fruits and vegetables, homemade olive oil, and cheese. After the lunch stop, you will paddle back to the starting point to end an adventurous day spent in the coastline of the Mani.